High School Boys Sunday afternoons, March 31st - May 12th 6 Games plus playoffs $600. Check out our gym memberships! Memberships include a full gym with options of adding on our NEW Fitness Arena (functional training), group exercise classes (approximately 140 per month), and great personal training (individual and group options)! A newly renovated 20,000 sq. ft. non-boarded, heated and cooled, sports turf field. 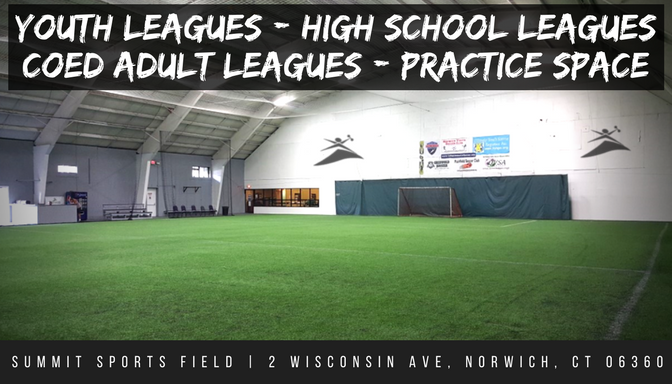 Perfect for Soccer, Lacrosse, Football, Baseball, and Fitness Training!